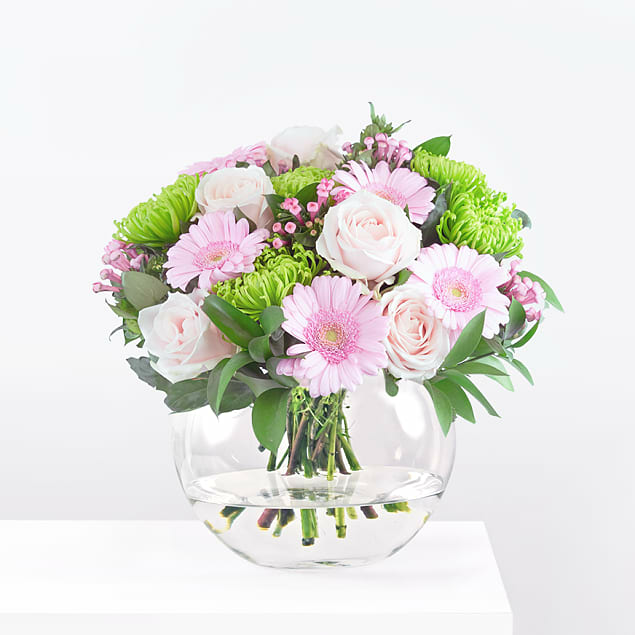 Whether you are celebrating a birthday, anniversary, or you would like to show somebody your support, this gorgeous bouquet makes the perfect gift. We have included Shamrock Blooms, Peach Avalanche Roses, Bouvardia Germinis, and Ruscus in this flower arrangement. The bright green combined with lighter-coloured blooms creates the perfect contrast. 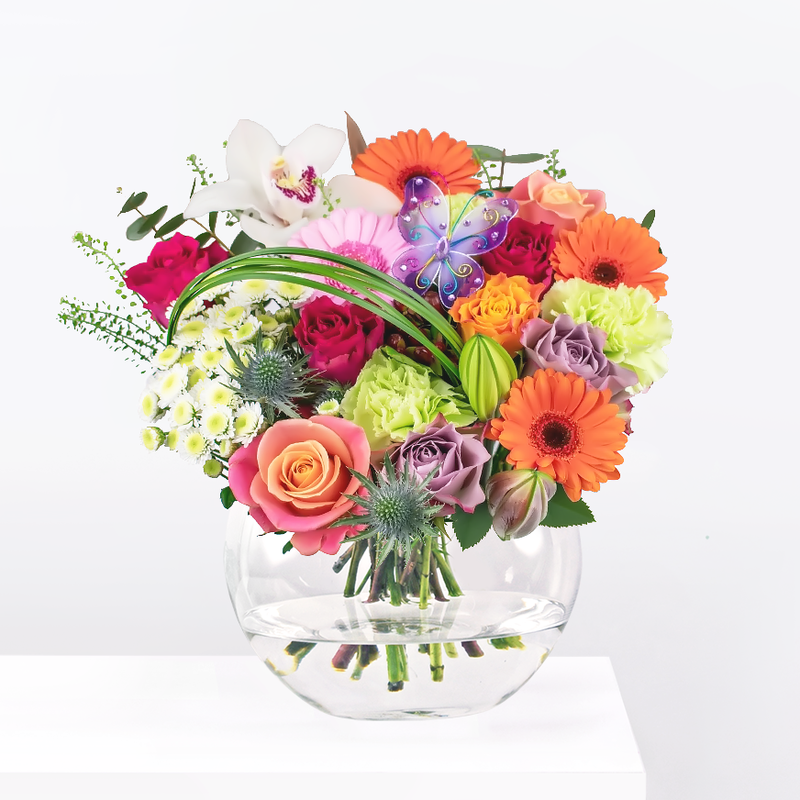 This arrangement will certainly have an amazing effect no matter where it is displayed. Uplift has been added to your basket.